I made this recipe for the first time during my Use Up the Ranch Dressing Mix Before It Expires Week (I didn’t succeed, by the way). I had saved it in my Google Reader, but wasn’t overly excited to try it. It looked good, of course, but nothing special. Um. I hate saying this, but … I was wrong. This meal was very special. In fact, it was delicious. I actually thought about putting this on the menu again the following week, but I held myself back. That would be weird, after all. But, I am counting down the time until it’s socially acceptable for me to make this again. And I will not be waiting until fall, that’s for sure. Place the chicken at the bottom of your crockpot. Add the corn, tomatoes, and black beans on top. 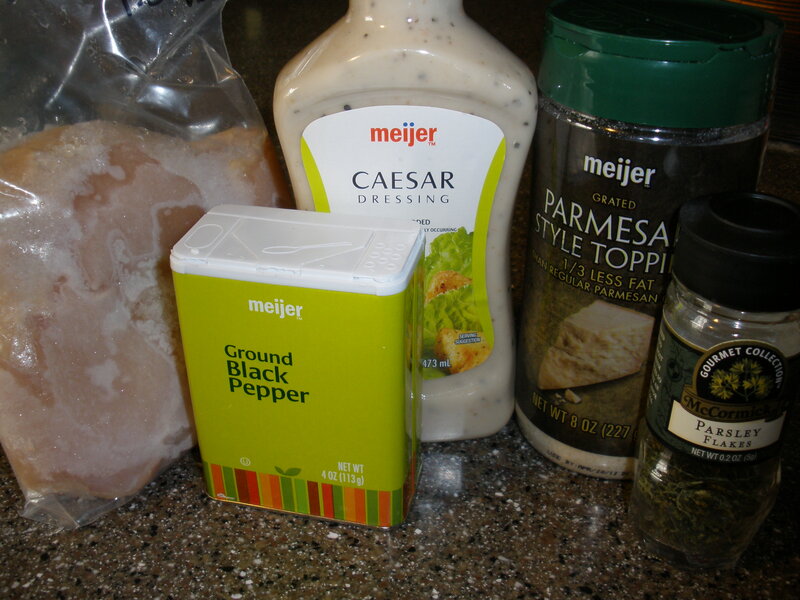 Top with seasonings and ranch mix, and stir to combine. Pace the cream cheese on top, but do not stir in. Cook on low for 6-8 hours. 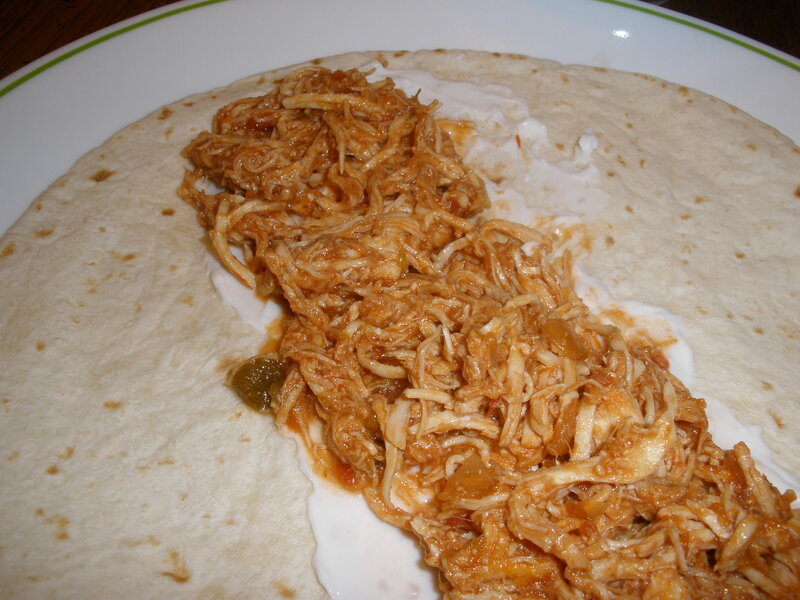 At end of cook time, shred the chicken, and stir it and the cream cheese into the chili until mixed together. Enjoy! Mmm. Tacos. Honestly, tacos are probably one of my favorite foods. Rick’s, too. When I told him I was making ground chicken tacos for dinner, he kind of gave me the side-eye. You see, he likes the traditional ground beef tacos. And if I had to choose only one, I’d say those are my favorite, too. But I like to try different types of tacos every now and then. 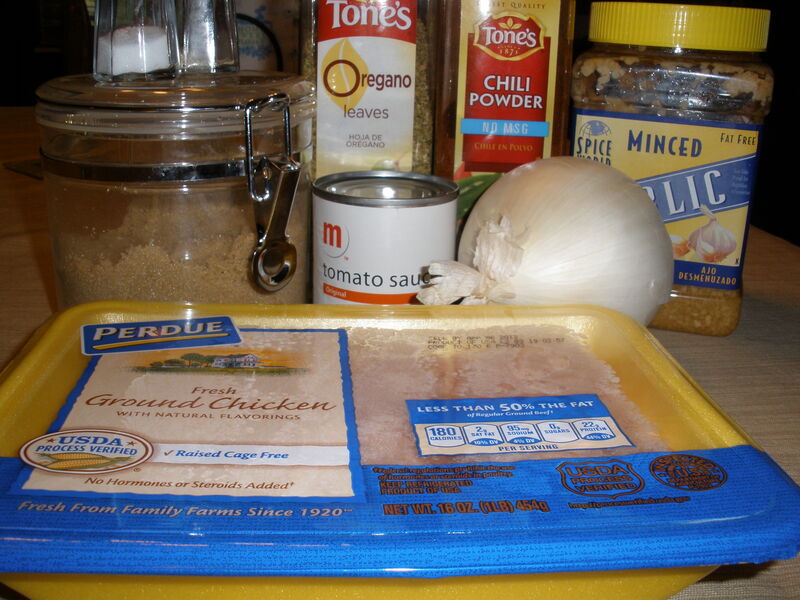 Place the ground chicken in your crockpot, breaking up the meat as much as possible (it does not need to be browned first). Add the onion, garlic, and spices. Add the tomato sauce and stir gently to combine, but don’t over stir. Cook on high for 2 hours or low for 4 hours. At end of cook time, drain the juices if desired. Serve with your favorite taco fixings, or on top of a bed of lettuce as a taco salad! For a meal earlier in the week, I had bought a 5 lb. bag of red potatoes and a big bag of baby carrots. I don’t usually have a problem using up the baby carrots, but the potatoes are another story. No matter what, I always seem to waste potatoes, and I hate that. So this time around, I was determined not to do that. When I realized how many potatoes we had left, I quickly threw this on the meal plan. Now, let me preface this by saying I am NOT a meat and potatoes type of girl. That might imply that I’m a health-food type of girl instead, but that’s not really the case, either. In reality, I think it’s safe to say that I’m a pasta/casserole type of girl. So with that in mind, it was a huge shock to both me and Rick when I really, really liked this recipe! I was fully expecting it to be dry and bland, but that was not the case at all. The potatoes, when tossed with the olive oil and herbs, were delicious and very flavorful. The chicken (also very flavorful) was very moist. I think the key here is to use chicken thighs instead of chicken breasts, which I think I’ll continue to have on hand for this type of dish. I’m pretty proud of myself for branching out and trying a “meat and potatoes” dish—and liking it! 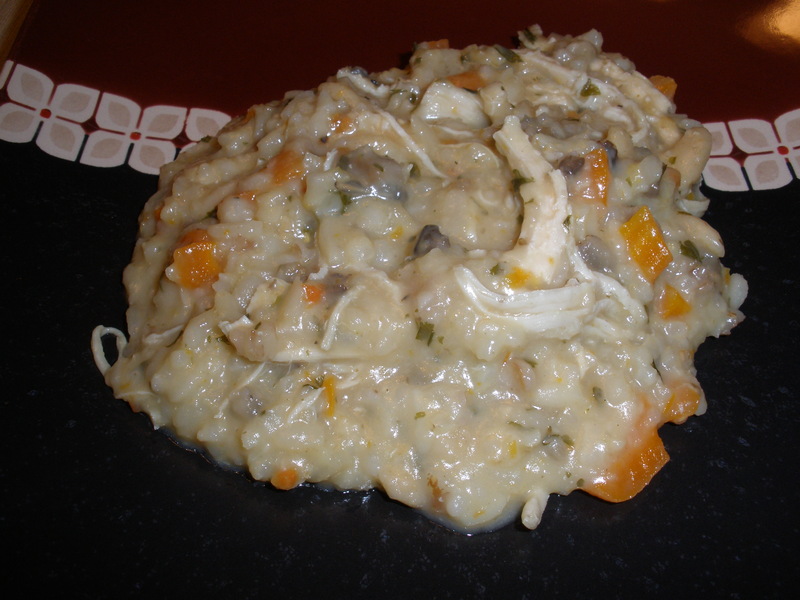 Place chicken in your crockpot. Top with baby carrots. In a medium bowl, combine the garlic, herbs, salt, pepper, and oil. Toss with potatoes and add to your crockpot. Cook on low for 7 hours. Enjoy! This new recipe for salsa chicken took a roundabout way of getting here. It all started when I came across this recipe for Salsa Chicken Pasta and decided it sounded really, really good. The only problem was, I didn’t have any leftover salsa chicken on hand. I decided to make some salsa chicken early in the week to use as a taco filling, then use the leftovers for the Salsa Chicken Pasta. I immediately went to my go-to recipe for Salsa Chicken, but decided I wanted something different this time around. Stephanie Cooks recommended this recipe, so I decided to give it a shot. This recipe was so good! 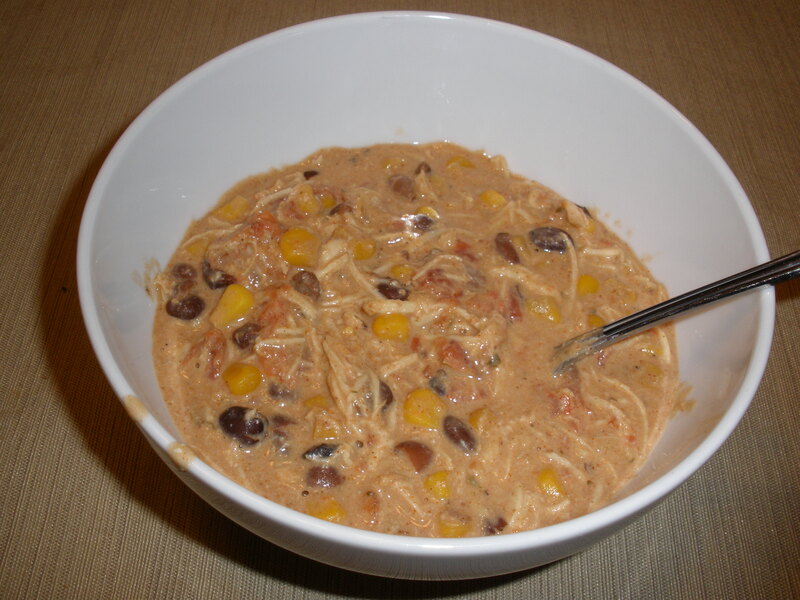 It was much lighter than my original Salsa Chicken recipe, as it wasn’t weighed down by the heaviness (both in taste and in calories) of the cream of mushroom soup and sour cream. I really enjoy both of these salsa chicken recipes, so I can see myself going back and forth between the two depending on what I’m in the mood for at the time. 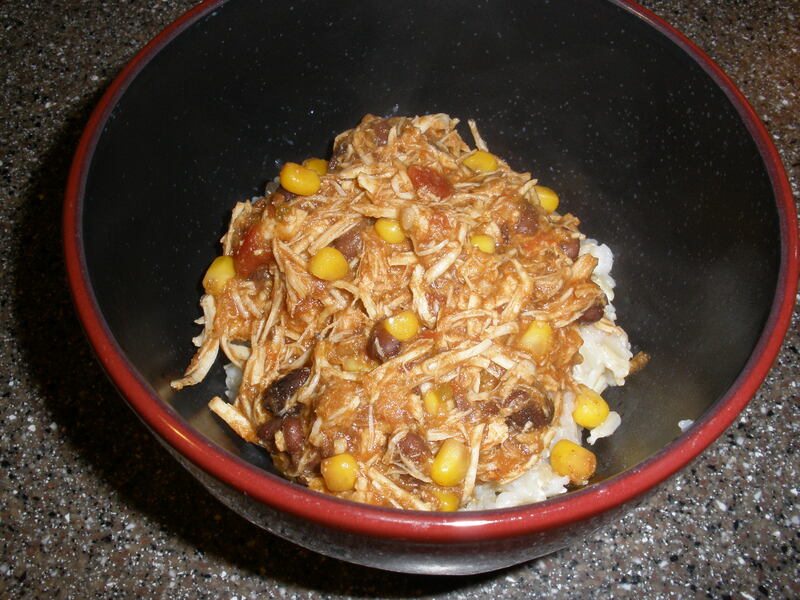 Combine all ingredients in your crockpot, stirring to combine. Cook on low for 6-8 hours. At end of cook time, shred with two forks. Enjoy! 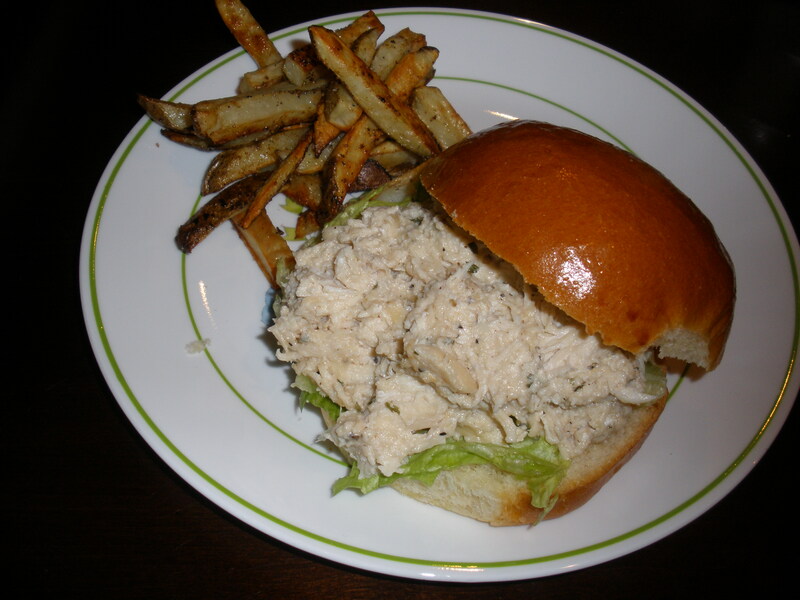 I made this recipe as part of my online cooking club. I love almost any Mexican recipe, so I was really excited to try this one. It wasn’t until we were eating dinner that I realized this tasted very similar to something that I had made before: Santa Fe Chicken. After investigating this recipe that I had blogged in July of last year, I saw that the ingredients are, in fact, pretty similar. 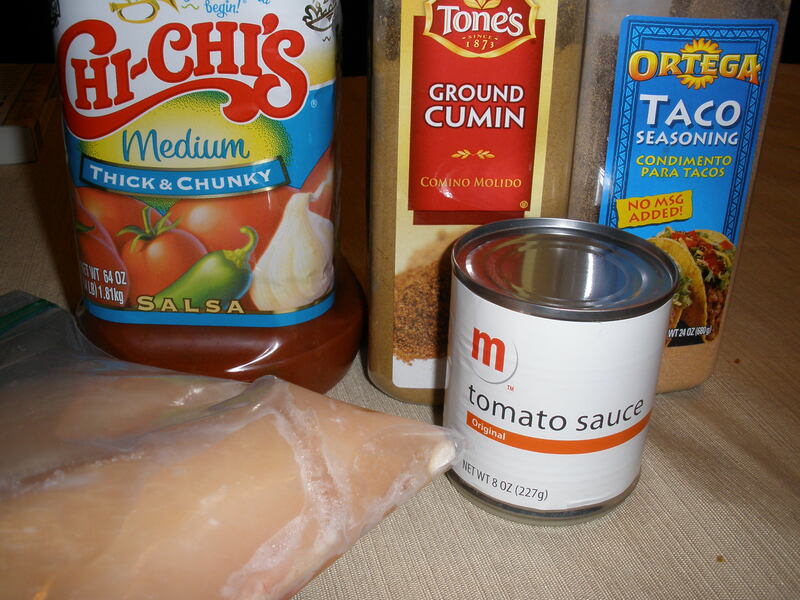 However, I prefer this Chicken Taco Bowls recipe because the ingredients are even simpler and cheaper. Why use two cups of chicken broth when you don’t have to? This will definitely be one of my go-to recipes when I need to come up with a meal with pantry staples. 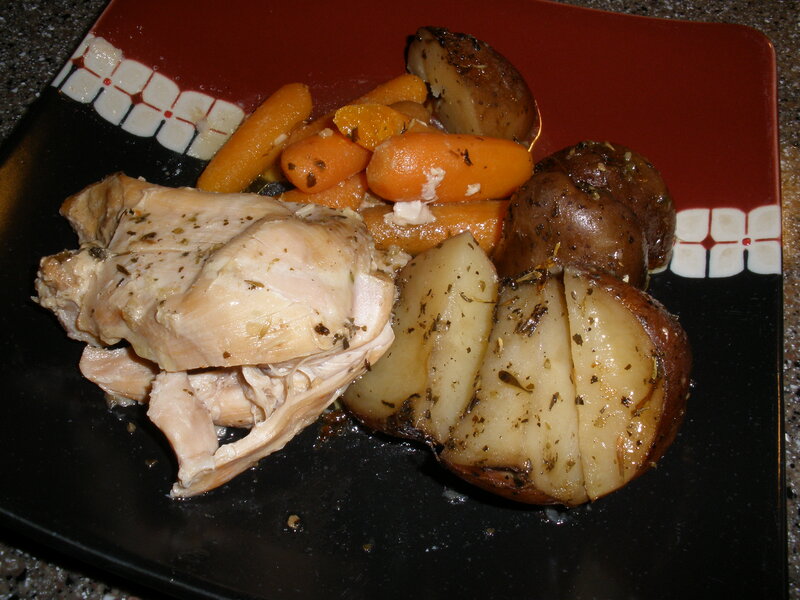 Place the chicken breasts in your crockpot. Then, dump in the rest of the ingredients and stir to combine. (Add about 1/4 cup water if your mixture seems too thick.) Cook on low for 8 hours. At end of cook time, shred chicken and stir back into the mixture. Serve over rice. Top with cheese and cilantro, if desired.